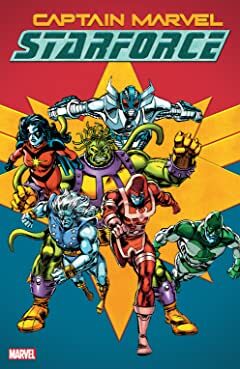 Collects Fantastic Four (1961) #65, Ms. Marvel (1977) #1, Marvel Super-Heroes (1967) #12, Captain Marvel (1968) #52, Quasar #10, Avengers (1963) #346, Captain America (1998) #8, material from Captain America (1968) #399 and more. They're set to wow you in theaters, but who are the Kree warriors known as Starforce? Get to know Captain Marvel and her spacefaring allies with these classic adventures! Ronan the Accuser makes first contact between the Kree and Earth — and he may be judge, jury and executioner for the Fantastic Four! Kree scientist Dr. Minerva targets Avengers sidekick Rick Jones for abduction! Carol Danvers takes on her first costumed identity as Ms. Marvel! 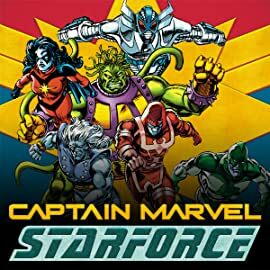 Captain Atlas confronts cosmic protector Quasar, Korath the Pursuer clashes with Captain America, and the Starforce battles the Avengers! Finally, Carol and Cap face Bron Char of the Kree Lunatic Legion!